I have had the opportunity to work for a wonderful fabric company, Contemporary Cloth. It is filled with beautiful quilting, home dec, and vintage fabrics. 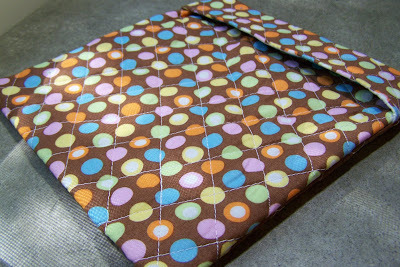 I love seeing the color combinations of fabrics selected by quilters. They have an amazing eye for color. So I’m always amazed when I see beautiful quilts that are really works of art: the colors, the designs, the stitching. I like to reflect on how something that was a necessity has been elevated to an art form. Once, scraps were saved to be used for practical items. Likewise, knitting has become part art form, part hobby, part therapy. I would like to say that I enjoyed my fluffy potato just like everyone describes, but instead, I have to report that I scorched the bag! I guess I overcooked it….back to the drawing board.